Do blog comments add value? Are buzz-type comments good enough? How helpful is the Social Media Examiner’s content really? Please answer my questions at the end – I need your feedback to decide. 2013-11-03 Update: If you read German – here are some examples of GREAT corporate blogs in Austria, Germany and Switzerland. Daimler blog: Reader comments ROI, anyone? 1. Corporate blog comments – do they add value? Unless we want to just broadcast our news, disabling comments is not an option in today’s Web 2.0 world. The challenge is to manage possible comment and trackback spam. Moreover, you must decide how long you will allow comments on your corporate blog. Why should they care? ===> about the content, silly! Will they be inspired to share? ===> your content with their friends. Will this result in sales? ===> or at least build more trust in, and recognition of your brand. As the example below shows, the Social Examiner is very successful in getting its users inspired to share their content (sometimes from guest bloggers) on various Social Network Systems (SNS). The shares on Twitter and LinkedIn for the post below are impressive and show that their readers must love this content. Why else would they share, right? 2. Corporate blog comments – is buzz good enough? As the above shows, readers of the content posted by The Social Media Examiner love to share it. Most blog entries on the Social Examiner get a lot of buzz, and many readers comment about the content. But how well does this type of engagement compare to other social media blogs? As the table below suggests, the Social Media Examiner scores 88 points out of a possible 100 in its category of social media blogs (WOW – hats off). Compared to all US blogs – this includes NFL and NHL blogs – it scores 68 points, well above the average score of 50 points. As the graphic below shows, however, the ranking the Social Media Examiner blog achieved improved markedly during September 2013 and then fell continuously again from the middle of September until late October 2013 (when we released this blog post – for the latest graphic – just click the image below). Check out the Social Media Examiner’s statistics, VERY impressive. Checking the statistics about commenting also shows authors have been less forthcoming with responses compared to early September. 3. How helpful is the content on the Social Media Examiner? 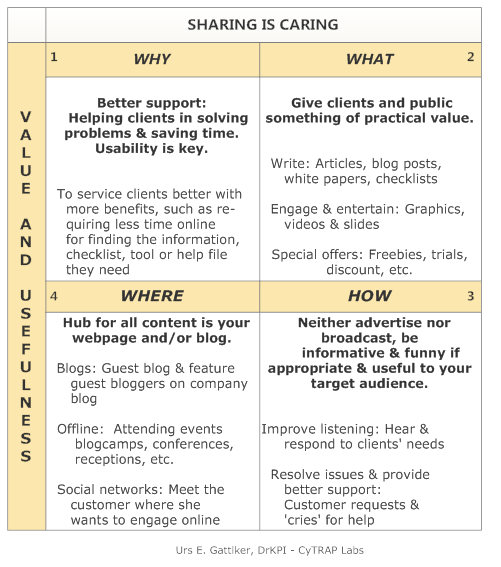 As the graphic below suggests, to get readers interested means offering practical content on the blog. This helps your audience solve a problem or use your information to improve their golf score, for instance. The above image shows that the Social Media Examiner produces and offers its readers both valuable and useful content, passing any test of this kind with flying colors. Can you top them? Well maybe not, but you can improve by tracking your corporate blog’s reader comments for comparison. This is a tall order, of course, but the quality and quantity of your blog’s reader engagement will nevertheless improve – guaranteed! Source: Social Media Examiner: Do reader comments add value? What is your opinion about The Social Media Examiner? Did I forget something important that you like about that blog? What strategy have you been using to increase social sharing of your blog’s content? How do you make sure that you get reader comments – maybe not in the numbers the Social Media Examiner does, but still… what tips could you share? It’s interesting to me that Social Examiner’s blog experienced a decline in October. Maybe it’s because thousands of their followers were “attending” their Social Media Success Summit 2013″. There were 18 webinars throughout the month of October. Possibly all the people who normally read their blog were all attending the Summit! It was a great summit, with a wealth of information for beginners to advanced. The speakers were formidable. I found I was able to put some of their suggestions into practice immediately. I still have a lot to go over from my 50 pages of notes! It really is no wonder that they are so successful. I highly recommend their resources and will definitely attend their 2014 Summit. Thanks so much for your comment here. 18 webinars throughout October, plenty to keep people away from visiting the website? Great to hear that attending their summit 2013 was so beneficial to you and you were able to put some of their recommendations into practice right away. My question Can you share some of these suggestions here? What you implemented right away when getting home? That could be but how does that explain the trend over the months that reader comments got shorter. I don’t know but maybe you do. One other thing I meant to share about the Social Media Success Summit. All attendees can access every webinar and transcript of the webinar for an entire year. I believe it will take me that long to incorporate all that is relevant to my business. All you know have to do know is to make sure that you have the time and persistence to implement all these great things you learned. Not an easy thing to do, since one can be so much bugged down with other things at work, that such stuff sometimes gets shafted. Thanks @lrartravel:twitter for sharing your insights. I must correct myself. There were 33 webinars, not 18 at the Social Media Success Seminar. Sorry for the misinformation. The Summit touched on every social media platform known to man or woman — from Facebook, Twitter and the like — to going Mobile and blog marketing. One of the first things I did that they suggested, was to include specific keywords in my profiles and other descriptive areas on Facebook, Twitter, Google+ and LinkedIn. This is important because people are looking for something specific and keyword placement becomes very important so that they can find you instead of someone else. Another suggestion was to use a great cover photo (I haven’t had time to implement this one yet, but will soon) on your social media platforms. It creates a visual interest that is important. Also important is to always respond to anyone who becomes a new “friend” or follower. This is not only polite, but the first way to engage with a potential new customer or client. I must say that the $300 plus that the summit cost to sit in front of my computer without any travel expenses and learn volumes, was well worth it. 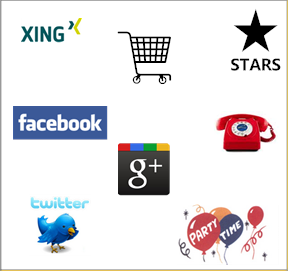 Thanks for the above tipps from the Social Media Examiner workshop that you are passing on to our readers, neat stuff. 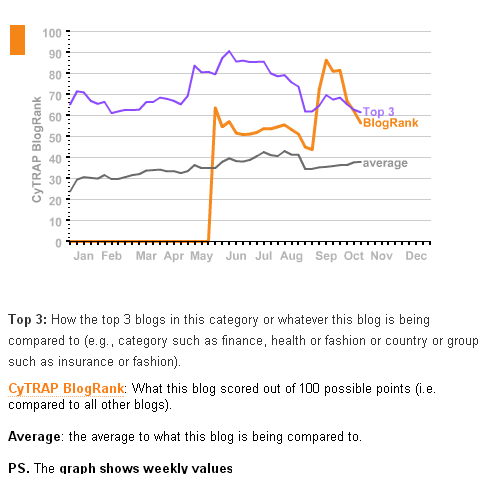 b- I needed to re-assess the keywords I used for my blogs (e.g., inf.CyTRAP.eu – in German, and ComMetrics.com in English). Of course, this means again going over to Facebook and Twitter to do the changes So much work. 2. Yes the picture….. what they say, a picture can say more than a thousand words…. Unless I discriminate I get inundated with noise…. So with that suggestion I am not certain. Same if a lawyer follows me from Toronto, should I follow back just to be polite? I hope she followed because I tweet interesting stuff or post good material on Google+. But does she do the same for me? Am I wrong…. should I be less cautious? 4. My point: Whenever somebody writes a comment on one of our blog posts, we should take the time and answer. People want to be heard and it is the polite thing to do. I even go to the effort and write them a personal note because data show that people are more likely to comment again sometime in the future. I agree that replying to everyone would take all day. I reply easily on Facebook. In order to contain Google+, I have joined relevant “groups”. Whenever they post something I think is really good, I will Google+ it and re-post for them. This is more in the line of professional courtesy as well. Thanks for replying again to me on this subject. I agree, Facebook is okay for me but Google+ is really interesting – as far as relevant groups are concerned (e.g., corporate bloggers, data nerds, etc.). Yes giving it a plus 1 or reposting things is also a nice way to engage with content and part of professional courtesy. I also try to comment on those things that I find interesting. 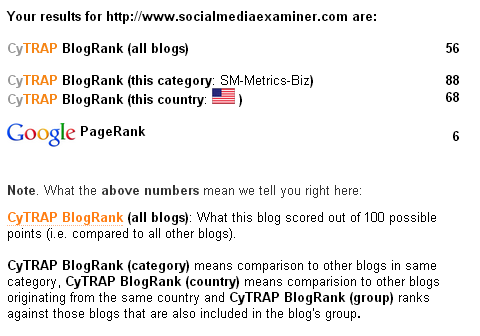 Thanks for checking my blog ranking. The blog site is relatively new, so I’m not too surprise and I know there is always room for improvement. I really appreciate the info. Merci for the feedback. Maybe you should register yourself (let me know when you have) and then I show you how to track things? It is easy to improve performance once one knows what to look out for and how one measures up. The results, thanks to the Internet and Google are usually fast. Sharon (at @blglawyers:twitter ), have a great day. Thanks Urs for your analysis on our blog. I appreciate your feedback and comments. 1 – How would you explain that comments have dropped (length per comment and number of comments per blog post) at the Socialmedia Examiner over the last six to 12 months? PS. Still plenty and same trend on Tech Crunch as well as Mashable. 2 – What you think we need to do to get more comments …. where could we do better? Thanks Urs for your reply (and email). I sent this off to our editorial director for her thoughts. It is a wonderful question that I don’t have the answer to. Just keep in mind that comments alone are not a metric of success in our eyes. Often only only a tiny fragment of our audience (or any audience for that matter) comments. Soften a strong call to action OR some missing piece that folks want to know more about will solicit more comments. Thanks for replying so fast. I look forward to your editorial director’s thoughts on this issue …. Hope she or he leaves a comment soon here. Yes, soften a call for action or leaving something left open is a sure way to get more comments. Some just comment less than others. I agree, nothing alone is a success measure. Nevertheless, I hope you can agree with me that comments and social shares are two indicators of a whole set. If engagement is not important, why are we then active in social media? Do you agree? Other thoughts? 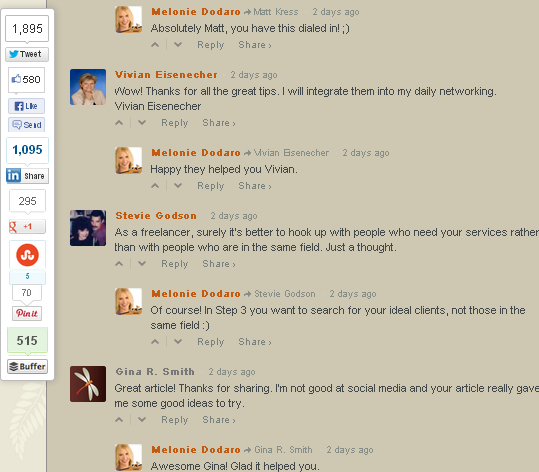 I love that: “comments and social shares are two indicators of a whole self”. For me it means that they are partly interchangeable. So a decrease in comments does not necessarily mean less engagement. The engagement may just find new forms of expression. But I am not sure if they are interchangeable. For instance, there is a substantial group of social bees that tweet things or post on Facebook by using an automatic service. The latter collects the RSS feed and then automatically shares a tweet or FAcebook post at pre-scheduled times. All this happens without you having to do anything. This is not engagement for me as much as it is if you write a comment as you did here. The comment takes far more effort and without having read the blog post it probably is impossible to write a thoughtful and insightful comment. Thanks so much for stopping by and commenting here. This is an interesting survey indeed. Although neither myself in the blog post norMichael A. Stelzner never talked about trust or credibility. 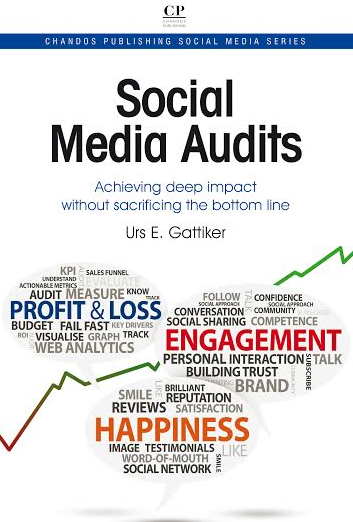 My focus in regard to the SocialMedia Examiner was on reader engagement which it has plenty of, thank you very much (I am a bit jealous, you can tell, can’t you.)! 1 – what is your target audience – hands-on bloggers, thus they are more inclined to write comment (see Social Media Examiner blog) than if it were a blog discussing banking (UBS blog). 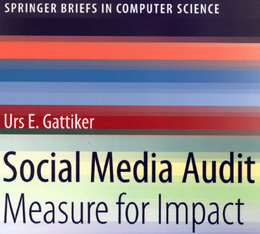 Previous post: Daimler blog: Reader comment ROI, anyone? Next post: Typhoon Haiyan: Twitter and Flickr to the rescue?